The gold Rolex given to President Dwight Eisenhower for his heroic role in D-Day is being auctioned for the first time in its history – for an estimated $1million. 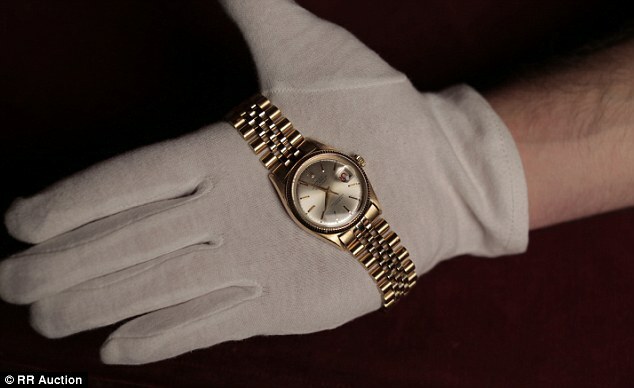 Experts say the wristwatch is among the most important made by the Swiss firm, which is now one of the watchmaking world’s most prestigious names.The 18-carat timepiece, the firm’s 150,000th, was presented to the five-star general in 1951 for his service in the Second World War after the 100,000th was given to WinstonChurchill. Million dollar watch: The gold Rolex given by the firm to Dwight Eisenhower for his heroics on D-Day is being sold for the first time in its history. He wore it throughout his eight-year presidency and in official portraits He wore it regularly throughout his two-term presidency and in official portraits including on the cover of Life magazine in 1952. 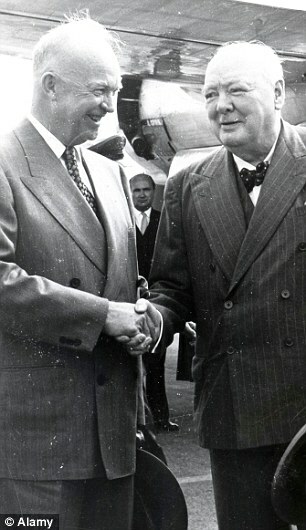 But when he died in 1969, instead of leaving the watch to his son John, he bequeathed it to a faithful Army colleague who had followed him all the way to the White House. Sgt John Moaney had served alongside the future president in Europe and became one of his closest allies, following him in his later years to his farm in in Gettysburg, Pennsylvania. 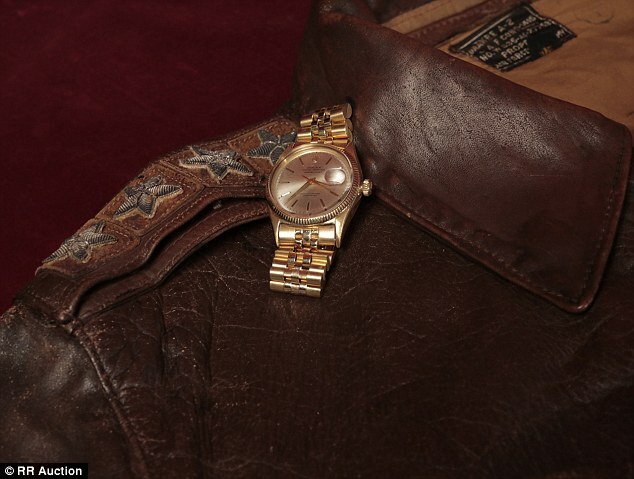 Sgt Moaney had the watch for almost 10 years as he worked on the farm for Eisenhower’s widow Mamie, until it came into the hands of one of the world’s most famous White House collectors. 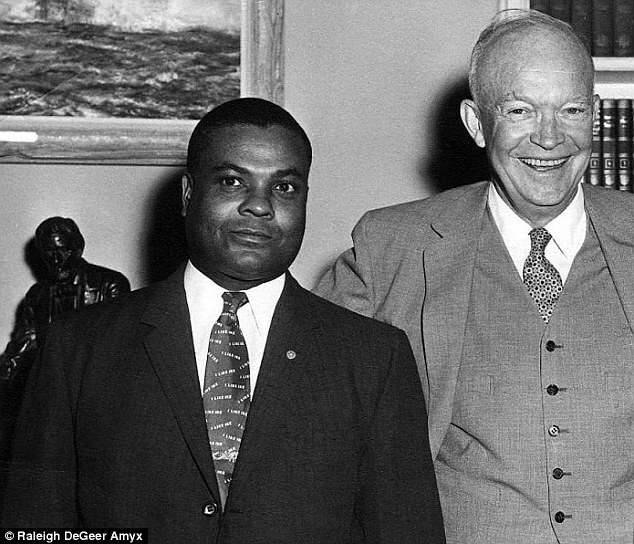 Raleigh DeGeer Amyx rose through the ranks of the FBI, befriending dozens of Presidential staff along the way, and amassed a vast collection of memorabilia. Gift: The President (right) left the watch in his will to former Army colleague Sgt John Moaney, who followed him all the way to the White House and remained with him on his rural farm until his death in 1969 He bought the watch from Sgt Moaney’s widow Delores three decades ago, and it became one of his proudest assets. 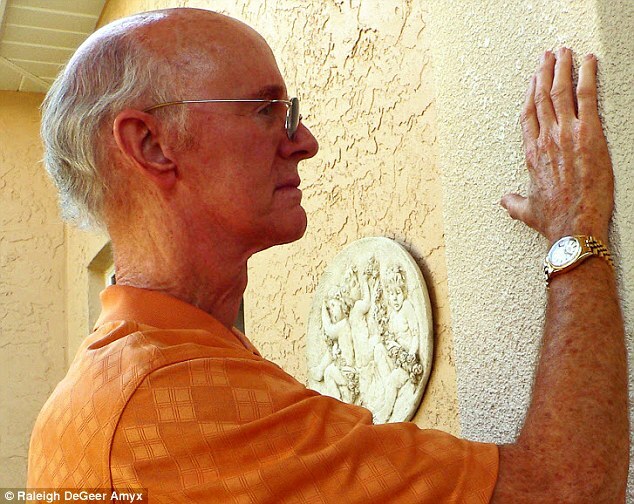 Now 76, Amyx’s Florida home is too small to contain his collection and much of it will now be auctioned off – with the gold wristwatch being the most legendary lot. 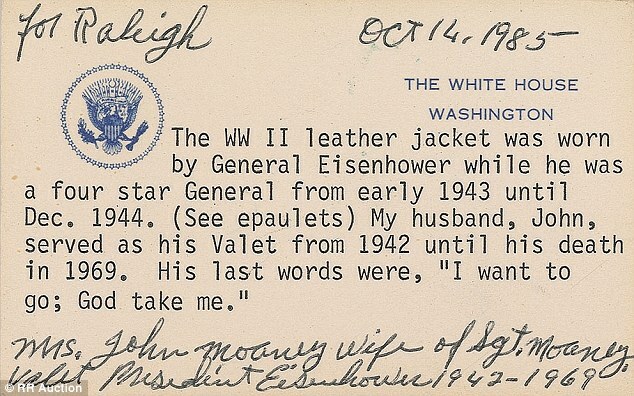 Certified: One of the messages written for Amyx by Moaney’s widow, who was Eisenhower’s personal cook The auction on September 17 in Boston, Massachusetts, will include several items owned by the president famous for leading the Americans in the D-Day landings.Veterans have marked a solemn 70th anniversary of the bloody assault on the beaches of Normandy on June 6, 1944, which was hailed as the turning point in the Allied fight.As Supreme Allied Commander in Europe, Eisenhower planned and ordered the landings which were known to his U.S. troops as Operation Overlord. The first day of the invasion left more than 4,400 Allied soldiers dead, according to research by the U.S. National D-Day Memorial Foundation, much higher than the traditionally-quoted figure of 2,500. 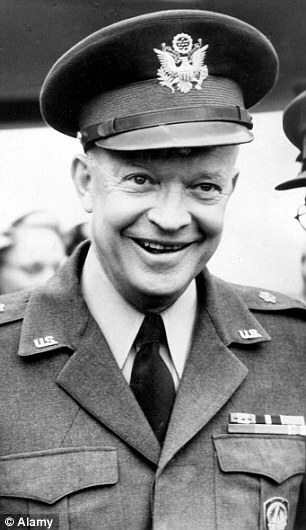 But despite the heavy casualties, the operation was seen ultimately as a success, allowing the Allies to deliver the first of a series of fatal blows to Nazi troops on continental soil.The iconic Rolex was an Oyster Perpetual Datejust chronometer on a Jubilee bracelet, and was presented to Eisenhower for his wartime achievements two years before he was elected president.